One of the most common behavioral problems amongst troubled teens is lying. Lying is also one of the hardest problems to deal with because of the obvious fact, you don’t know if your child is telling the truth or not. Liahona Academy is a residential treatment center that can fix problems, like lying, for you and your family. Call 1-800-675-8101 today for more information. For teens, lying can start for many different reasons. In fact, lying occurs in most teens because that is part of growing up. However, lying becomes a major issue when the liar becomes a compulsive liar. Compulsive lying is not always easy to detect but when parents of troubled teens notice the same patterns in their child to that of a compulsive liar, help and therapeutic treatment should be carefully thought out and researched. For your family, compulsive lying can be very dangerous. When someone becomes a compulsive liar, it means that they have lost the ability to feel guilt when purposely lying to another person. It has now become a second nature for them to lie whether they are trying to cover something up or just for the sole purpose of lying. Lying can ruin communication between your teen and their friends and family if not taken care of correctly. At Liahona Academy, we have developed programs for behavioral issues, like lying, that have been proven effective for troubled teens all over the nation. Our professionally trained faculty and staff have experience working with troubled teens with many different personal struggles. We help teach troubled boys the correct way of communication, without lying. We have seen how harmful lying has been to the personal relationships in teen’s lives and we are ready to help change that for good. It can be difficult and the road can be long, but with the love and support of friends, family, and our staff, we are confident we can help. Compulsive lying can be extremely hazardous to you and your family. The best way to handle constant lying that can grow into an even bigger problem is to research therapeutic help. 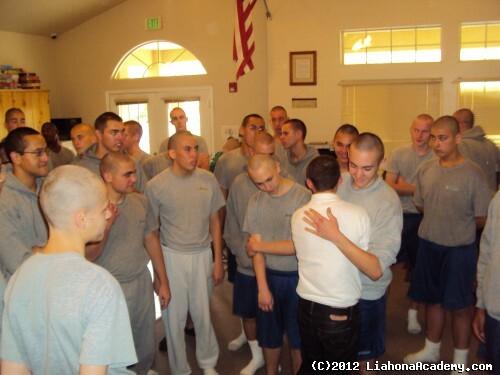 Liahona Academy can offer excellent help and care to your troubled teen to help them get back on track. For more extensive information call 1-800-675-8101.